The crystal healing features a healing sketch and a guided audio meditation, created specifically for you. The audio mediation describes the crystal spirits working with you at this time and the ways in which they are helping you. 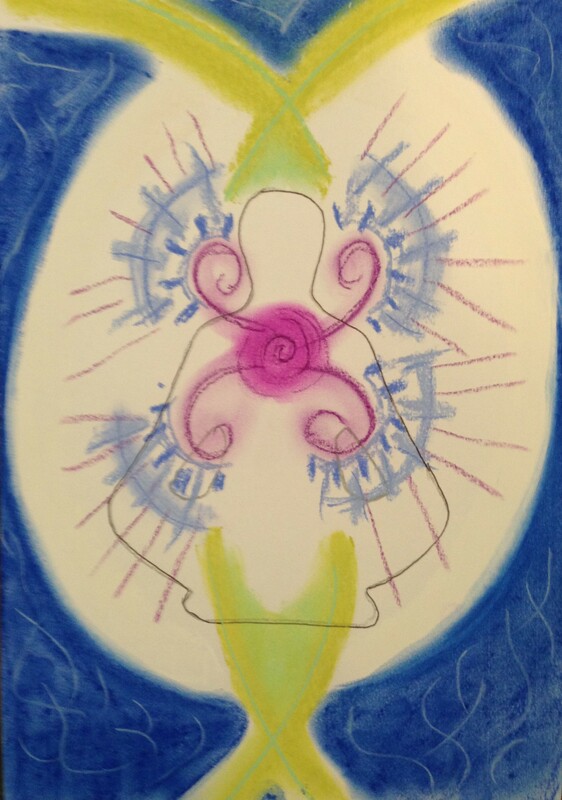 The sketch shows the aura colour frequencies and patterns being generated in your aura by the crystal spirits. By gazing at the sketch while listening to the audio, you activate the crystal healing grid in your aura, and empower the healing. This healing modality incorporates sacred geometry and healing mandalas, facilitating alignment within the aura. For example, the crystals might help align one chakra with another, one side of the energy field with the other, or perhaps even realign your aura with your higher purpose. Omanisa is passionate about teaching people to call directly on the spirit of nature, rather then needing to own or possess that part of nature. We can work with crystal spirits without needing to hold, touch or own the physical expression of that specific crystal. The messages and healing techniques channeled through from the crystal spirits in these personalised healings provide new insights into the magical uses of crystals. To place an order for a Crystal Healing, you can make payment using the bank transfer or credit card guidelines on the Making Payment page or you can use the PayPal ‘Buy Now’ button below. Please keep in mind the current estimated time for delivery of your healing package, as displayed in the right hand column of this website. Includes a photograph of your sketched crystal spirit healing plus a 20 minute audio describing the crystals who are working with you, what they are helping you with and any guidance they are providing. The package is delivered via email.